In my mind, pancakes are like the canvases of breakfast food. The simplicity of a basic recipe leaves so much room for customization. Love cinnamon buns? Add cinnamon swirls and cream cheese frosting for cinnamon roll pancakes. Add chopped fruit, dried fruit, or all of the above. If you’re feeling savory, add some veggies and herbs to the mix. Toss in chocolate chips, peanut butter, or even bacon. Personally, I’ve made Christmas tree pancake stacks and even pancake sushi rolls. (Yeah, that happened.) 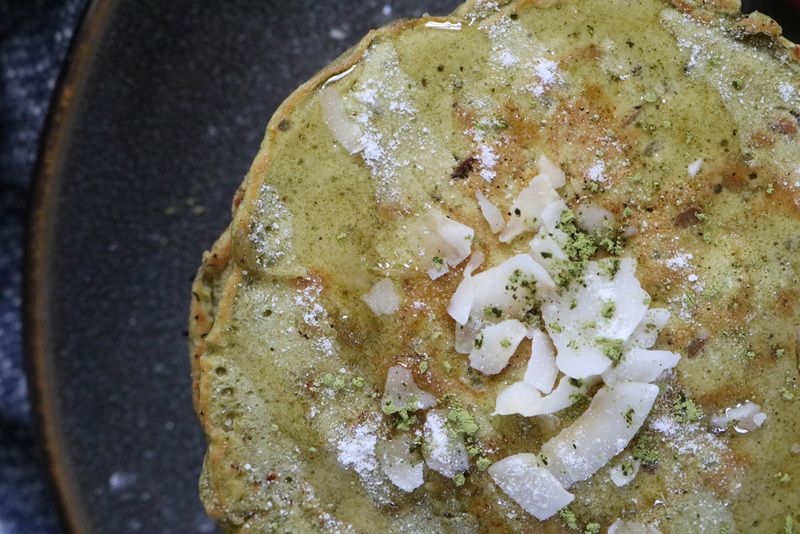 So while brainstorming more ways to infuse food with matcha, one of my latest obsessions, I knew a pancake recipe was a must. This particular version calls for Greek yogurt, so the finished product is exceptionally soft and fluffy with the perfect consistency. I’ll take five, please. 1. In a large bowl, mix the flour, sugar, baking powder, matcha, coconut flakes, and salt. 2. In a separate bowl, combine the milk, eggs, yogurt, and vanilla. 3. Gradually add the wet ingredients to the dry, stirring frequently. 4. Grease a pan and warm over medium heat. Pour 1/4 scoops of batter. 5. Flip over once the pancake bubbles and the edges turn light brown. Garnish with coconut flakes, confectioner’s sugar, maple syrup, and/or honey and pair with fresh fruit. I’m all about pairing these beauties with honey and strawberries. 10/10. Are you mad about matcha? 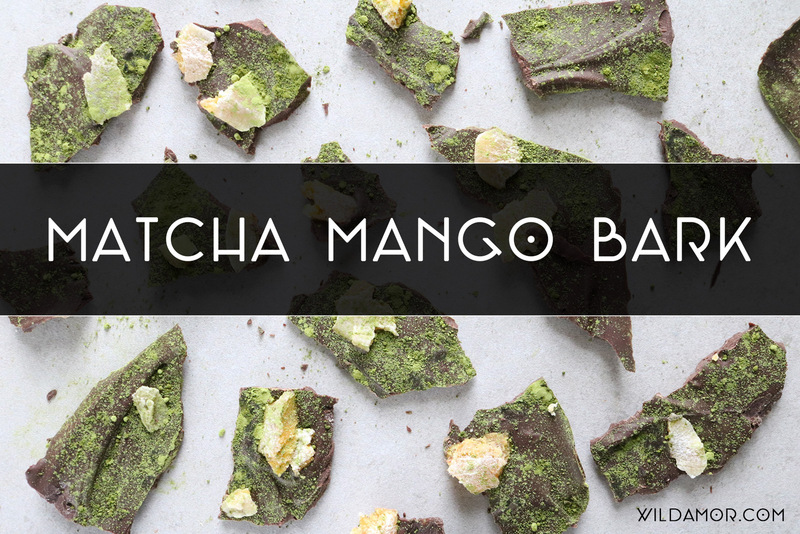 Check out this Matcha Mango Bark, a seriously delicious (and nutritious) treat. 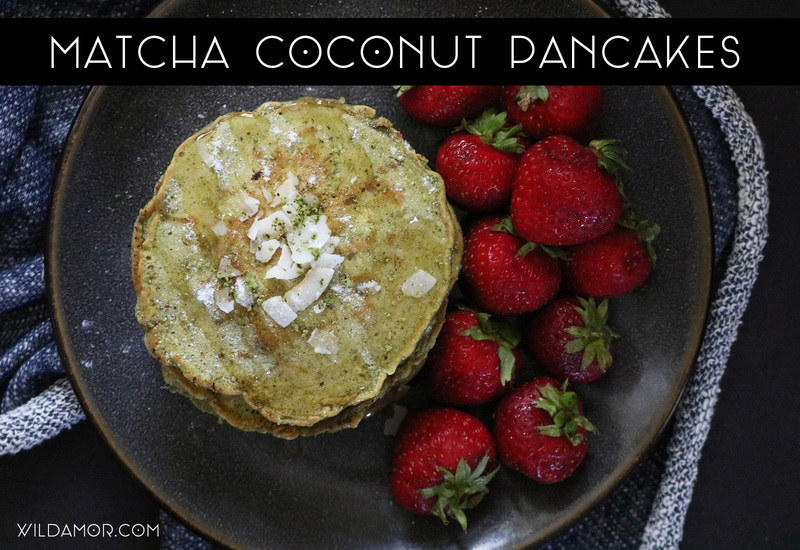 Hope you love these matcha coconut pancakes! FTC Disclaimer: matcha LOVE culinary matcha (100g) were provided by matcha LOVE and RKPR Public Relations. All thoughts and opinions are my own; I only collaborate with and feature companies that I truly support. Thank you, matcha LOVE.